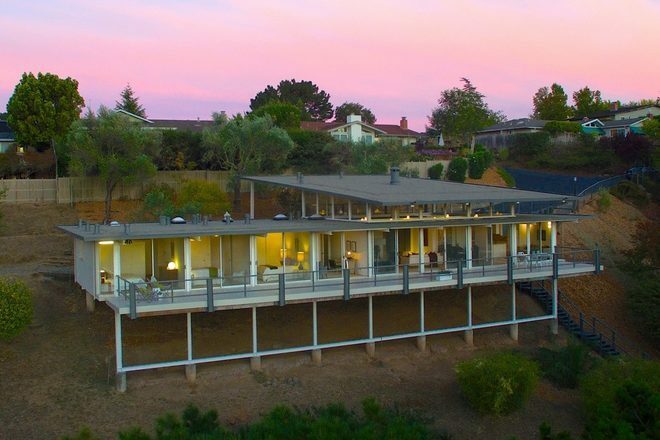 18 of some of the most amazing home sales of 2015! From midcentury modern gems to Victorian stunners, from the woodlands of upstate New York to the deserts of Arizona, incredible homes of many styles and locales have made it onto Curbed’s House of the Day column in 2015. What they all have in common, though, is strong architectural appeal and well, for purposes of quality on-screen ogling, some top-notch interior and exterior photography. At the year’s end, it’s only right we celebrate and check in on the best of the best—you know, the instant jaw-droppers, the properties readers couldn’t help but share far and wide, and just the downright beautiful. Many of these listings are still on the market, and several have gotten price reductions recently. Let’s take a closer look. 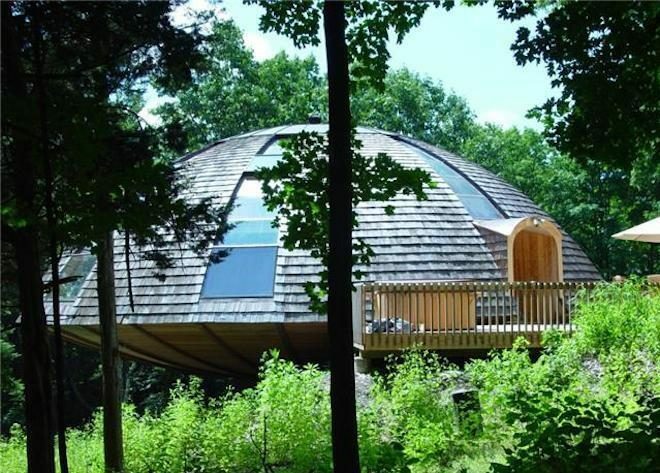 This UFO-shaped but otherwise demure exterior of this prefab home in the woodlands of upstate N.Y. belies a spectacular interior seen in the top-most photo here. 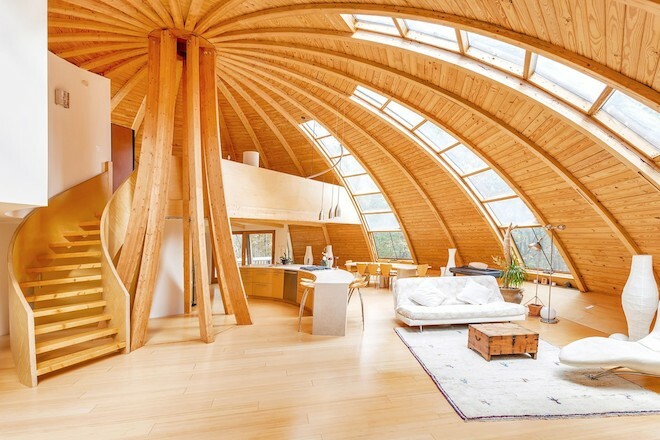 Erected in 1999, the 2,300-square-foot home may very well be the only example of “Domespace,” a French kit home concept, built in the U.S. And yes, it rotates at the push of a button. 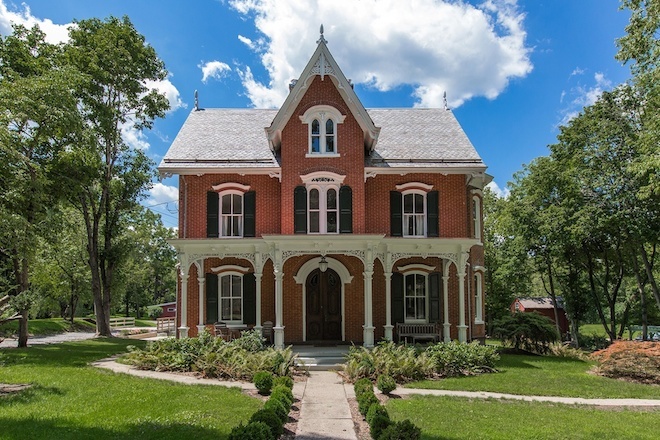 This very handsome brick Victorian Gothic house built in 1880 (by the wealthiest man in town at the time, no less!) features fantastic bones and a splendid recent renovation. The 3,800-square-foot home offers original arched double doors, 11-foot ceilings, two large parlors, and a brand-new eat-in kitchen. 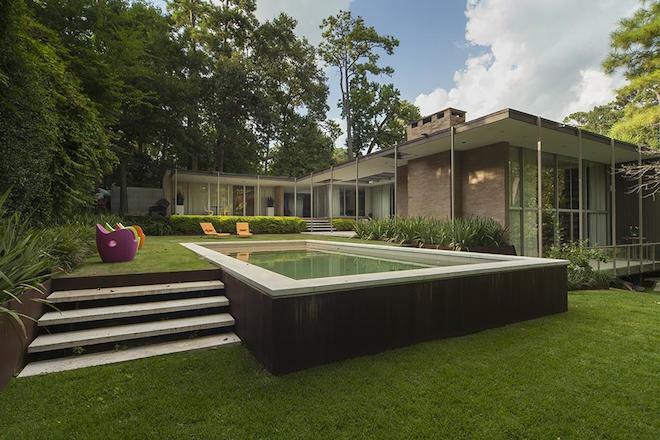 Readers swooned at this restored 1960 home designed by prominent Houston architect Harwood Taylor. One of the best examples of midcentury modern architecture in the region, the roughly 5,000-square-foot home flaunts original brick walls, walnut paneling, coffered ceilings, and remodeled landscaping. Ladies and gents, this is the epitome of curb appeal. 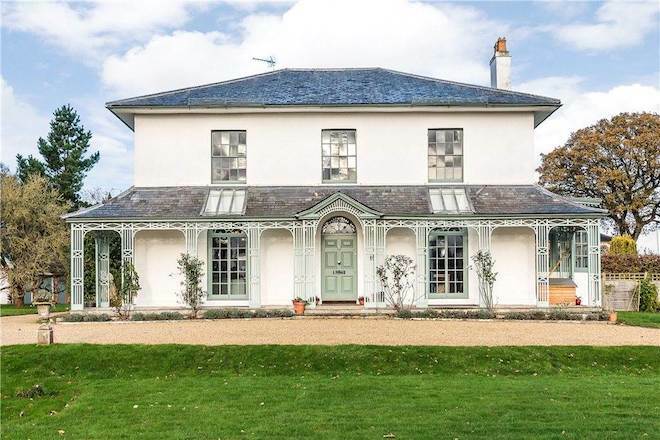 Intricate exterior trim, gorgeous arched and bay windows, and nearly two acres of gardens highlight this 1820s historic Regency-style home in rural southern England. 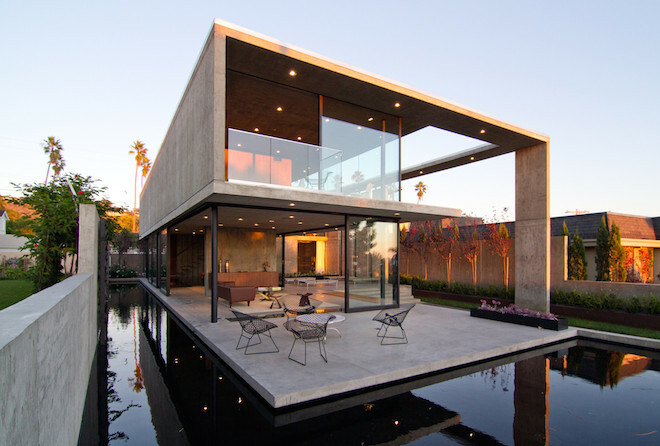 Wow oh wow, “wicked-cool” is our first impression of this all-concrete modern beach house designed by San Diego-based architect Jonathan Segal as his own home. Sliding glass walls cover 70 percent of the property, which includes ample exterior lounge areas, a lap pool, and rooftop solar arrays that can almost power the entire house. This circa-1830s mansion is the ultimate French Quarter reverie. 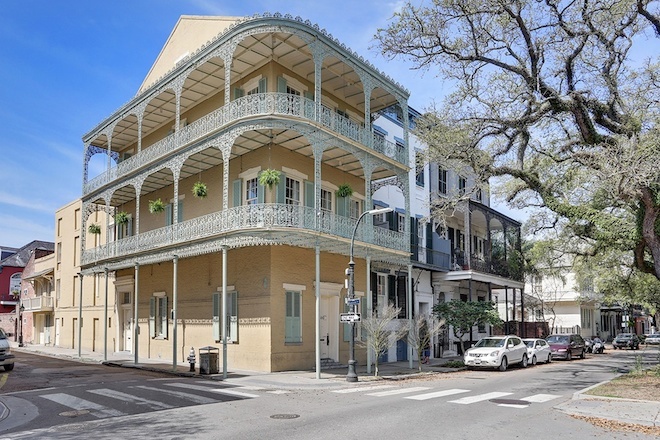 The four-story house sitting on the edge of NOLA’s oldest neighborhood offers tons to ogle: ornate lace iron railings and double wraparound balconies, grand parlors with 16-foot-high ceilings and Corinthian columns, marble fireplaces, Gothic arched windows, to name a few. 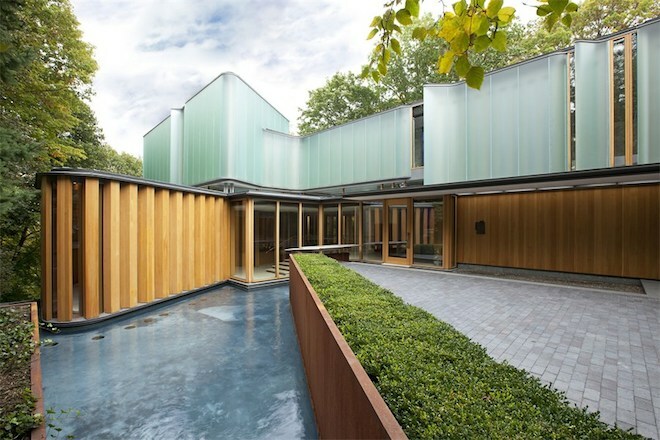 Completed in 2009, Toronto’s well-known Integral House is the architectural manifestation of the owner’s passions for math and music. The five-story, 18,000-square-foot mansion channels calculus with an undulating glass and oak facade, and features an impressive concert hall with enough room for 200 guests. Indeed, we got a Case Study House on this list! Case Study House #26, designed by low-profile architect Beverley David Thorne in 1963, adapts daring glass-and-steel construction for a heavily sloped site. The result, a spacious dwelling with soaring ceilings and a rear deck that spans the length of the house, went on the market for the first time ever late this summer and sold in December for about 16.4 percent below ask. 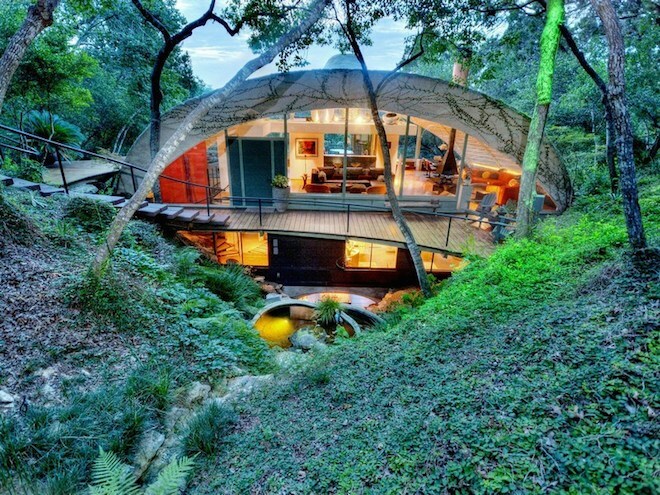 Frank Lloyd Wright apprentice John Watson built this jaw-dropping ode to organic architecture in the 1950s, an incredible property that certainly maintains a time capsule feel. Among the highlights of the 2,500-square-foot home are a recirculating waterfall that cascades into a pool below the entrance deck and a cave-like billiards area. 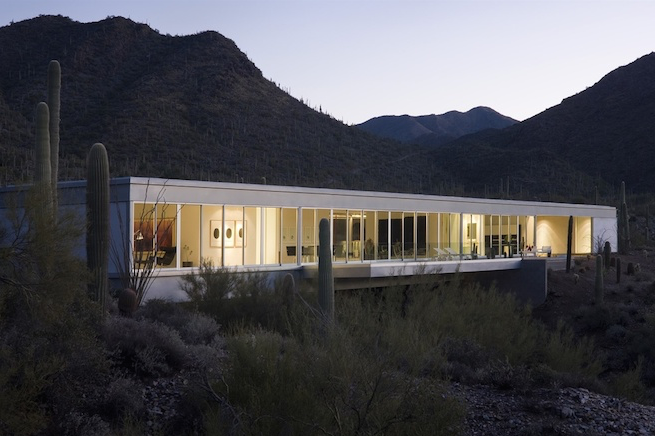 This one-time Design Within Reach catalog star creates a stunning “Glass House” experience in the deserts of Arizona. The 3,072-square-foot house, which bridges an 80-foot wide by 30-foot deep dry creek, is full of glass walls, white porcelain tiles, and Corian showers. 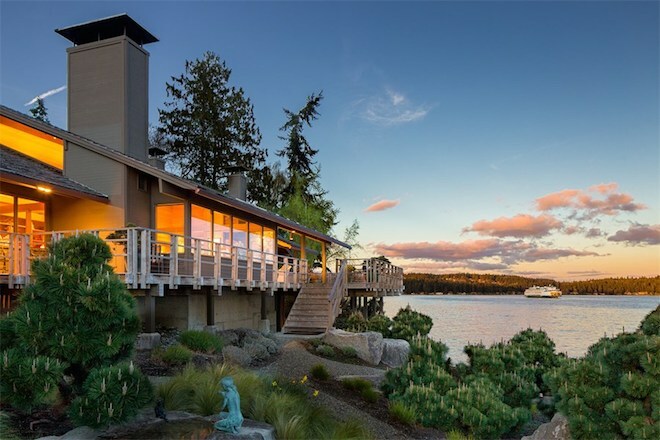 This 1979-built home designed by Hal Moldstad, the noted Northwest modernist who also built homes for Microsoft co-founders Bill Gates and Paul Allen, offers a top-notch waterfront refuge. Sold for exactly the ask price, the 4,765-square-foot abode offers sweeping views of the Puget Sound, vaulted ceilings, a stone fireplace, spa-style bathroom and sauna, tons of wood detailing, and a private beach. 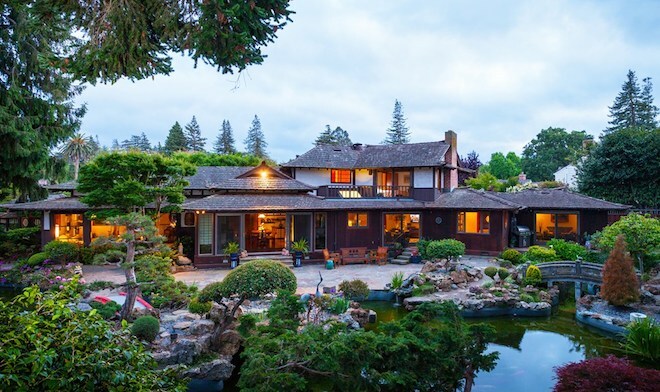 Certainly one of the most unique properties we featured this year, this scenic NorCal estate comes with an original Japanese tea house built in 1894 and gardens designed by the same guy who did the famous Japanese Tea Garden in San Francisco’s Golden Gate Park. The grounds include some 500 species of plants and a few historic treasures, including the original granite lantern from the 1915 World’s Fair in S.F. 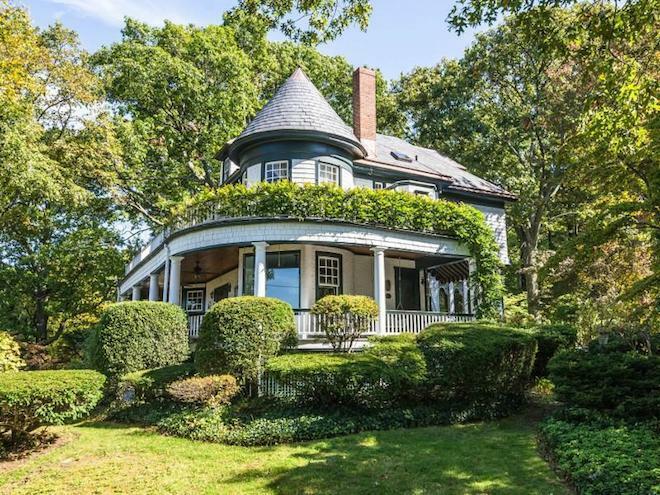 This 1893-built Victorian located a block from the beach is quirky, breezy, and just plain charming. Here are just some things to watch for: original woodwork, stained glass, gorgeous chandeliers, wild wallpaper game, and an indoor patio with a skylight. “Spectacular” aptly captures this circa-1920s home located a walking distance from L.A.’s iconic Hollywood Bowl performance venue. 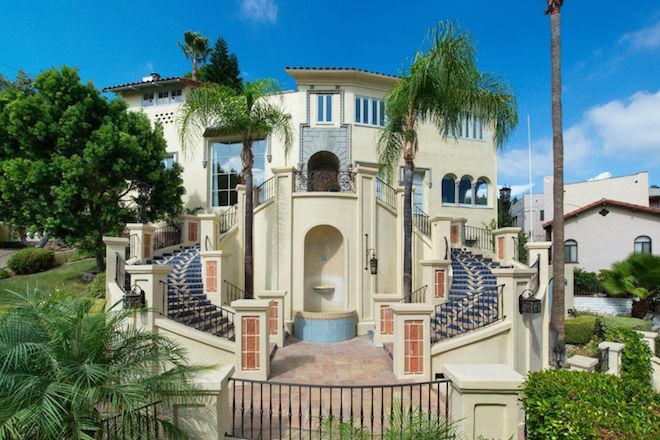 Fronted by a bronze gate, center fountain, and elaborate staircases with graphic tiles, the 4,356-square-foot residence dazzles inside with a bright, double-height living room boasting stained glass and a Juliet balcony. 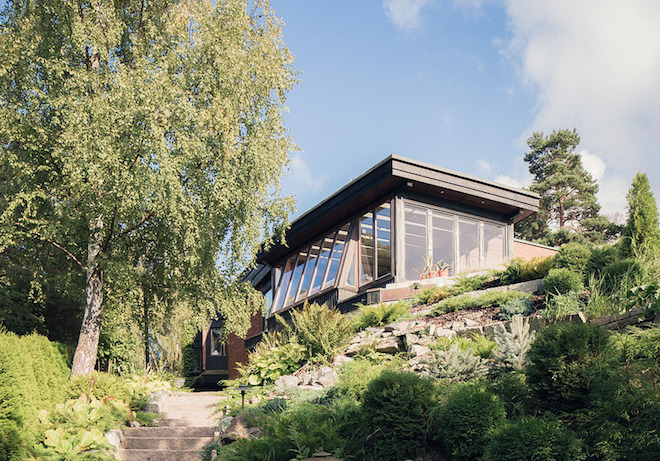 Quite possibly the dreamiest Swedish home we covered this year (and there were many), this 1967 brick-clad villa has a large, airy living area with fabulous bay views. The 3,175-square-foot home comes outfitted with eco-friendly features like geothermal heating and solar collectors and includes a private dock and boat house. 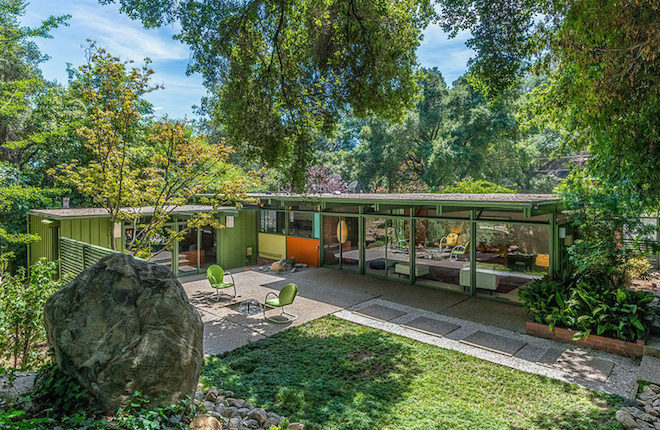 It’s not everyday we find an impeccable midcentury house with so much personality, so it’s not all that surprising that this 1954 post-and-beam dream designed by SoCal architect Richard Leitch as his personal residence was snatched up two weeks after listing and for $135,500 above ask. The 2,115-square-foot abode comes with plenty of glass walls, clerestory windows, restored European-style cabinetry, and a serious commitment to a palette of green, orange, and yellow. Glasgow-based architect Gareth Hoskins designed this bright, modernist-esque abode in 2002, taking inspiration from the client’s love for the Barcelona Pavilion by Mies van der Rohe— hence, the plethora of floor-to-ceiling glazing and dramatic overhanging roof. Inside, an open-plan living/dining/kitchen area promises expansive views of the magnificent gardens, and there’s also a towering oval-shaped space currently used a music room. 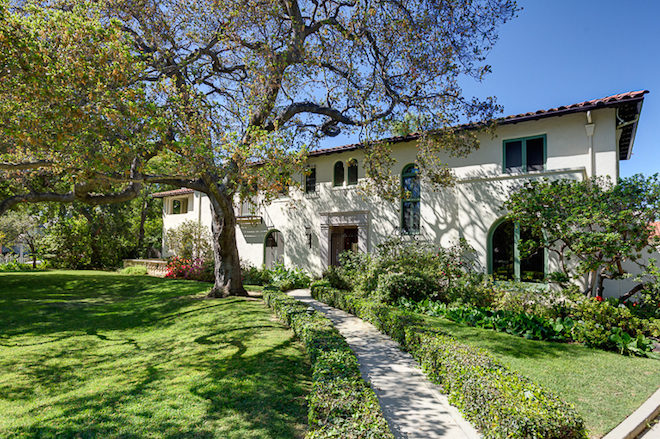 Jazz Age fantasies come alive in this 1920s Mediterranean Revival spread completed by designer-builder L.C. Bauer. The nearly 6,000-square-foot manor sold for $500,000 above ask within a month of going on the market. What were folks fighting for? To start, lots of original details like herringbone-wood and hexagonal-tile floors, a wood-paneled library, grand fireplaces, and landscaped terrace and pool. WHICH MADE YOUR TOP PICKS?